At Swiss House Shop Ltd. we not only strive to bring you the best quality products from Switzerland but continuously seek valuable new products from select suppliers for our portfolio to enhance your shopping experience with us. Our suppliers are mostly small- to medium-sized Swiss registered companies producing a vast range of products mainly for the Swiss market. 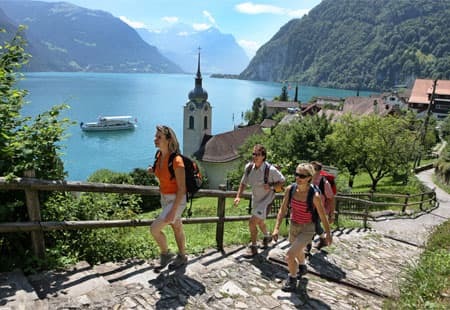 Our requirements for the products to be listed in our shop are not only the companies being from Switzerland but that also the manufacturing of products takes place in Switzerland. 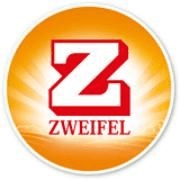 We focus mostly on products and goods that use also Swiss ingredients. Having said that globalization has also set foot in our small country and the pressure on pricing, due to high production costs in Switzerland has also been a factor for many Swiss entities to procure ingredients, or partly manufacture some products abroad. It must be noted that Switzerland lacks an abundance of natural resources, thus in the course of the past few hundred years, Swiss traders have set out to the world to procure goods and products from near and far to be incorporated into our well-reputable products. Also climatic reasons inhibit the local, Swiss production of certain ingredients for products. Switzerland has some of the world's most stringent laws and regulations that producers and manufacturers must adhere to. The Swiss government is very keen to keep to our world-class, and high quality standards and in supporting smaller Swiss producers and manufacturers. Due to ever growing global demand for safe, clean and healthy products from Switzerland, many Swiss entities have elected to produce some of their products abroad in countries where demand is high or potentials on the rise. 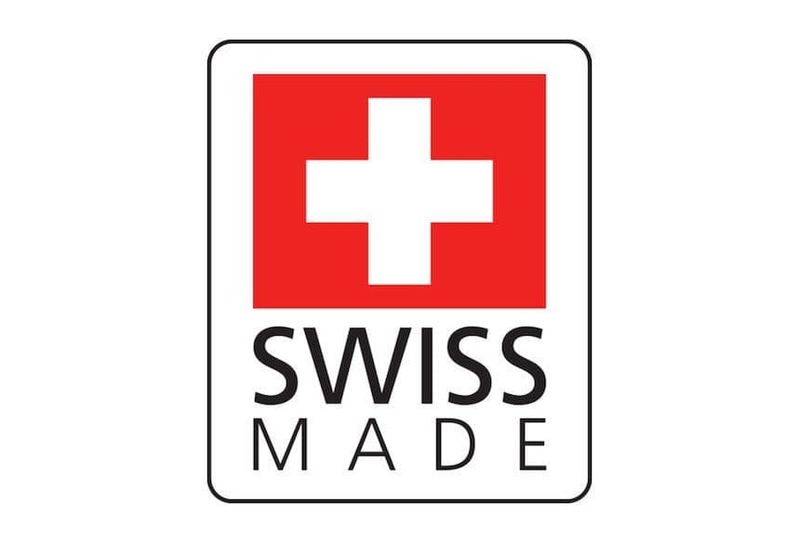 There are a vast number of Swiss products that are not manufactured any longer in Switzerland and manufacturing has reached also places in Asia. We at Swiss House Shop Ltd. do not carry such products in our portfolio. We support the “Swissness” laws (Swiss flag on the product) that have come into effect on January 1, 2017, as implemented by the Swiss government and support our suppliers to have a reach also in Asia thru our portal. We do however have some exceptions in our portfolio, that include some products that are being produced or manufactured in part (i.e. machine parts, etc. ), or in its entirety outside the borders of Switzerland in our portfolio. Those products are manufactured in the European Union, and must be wholly-owned subsidiaries of our suppliers. Such products are furthermore clearly marked in our website and on the product package. Of particular focus to Swiss House Shop are also the ingredients used in our F&B range of products. Switzerland is world-renown for its chocolates but we do not produce cocoa in Switzerland. 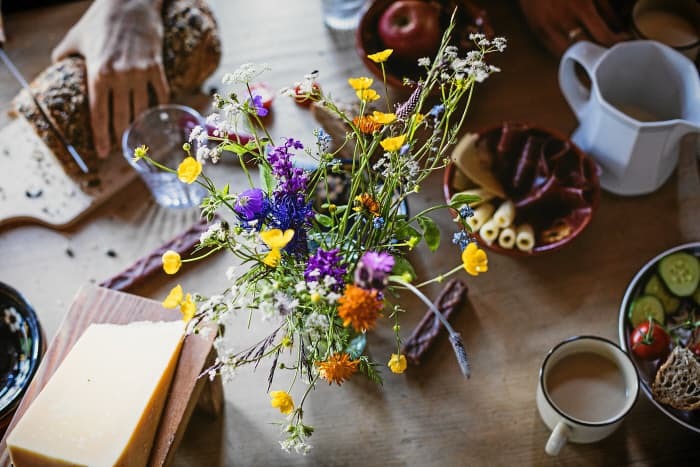 Thus we also select suppliers for a vast range of products that farm or procure Swiss grown ingredients, or use only a select supplier base for their ingredients that produce under the norms of our Swiss suppliers in a conscious and sustainable manner. Are you interested in a partnership with Swiss House Shop Ltd? If your company philosophy and goals are in line with the above criteria and if you seek a partnership with a Swiss-managed company for the distribution of your products in Asia please do not hesitate to contact our Supply Chain Manager, Mr. U. Zubler in Switzerland Email: ulrico.zubler[at]swisshouse-shop.com to discuss a potential partnership. 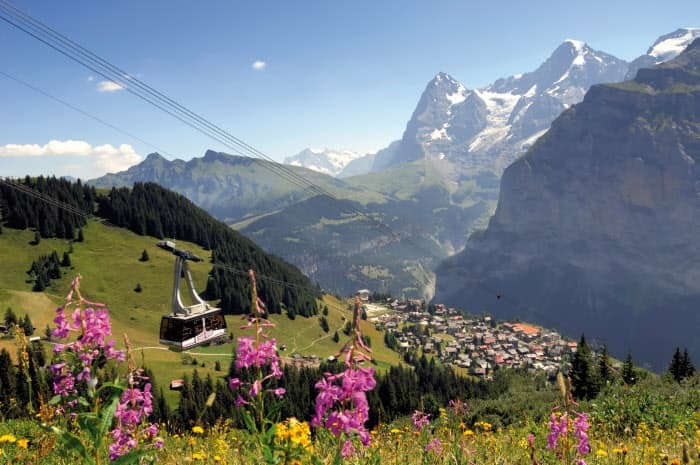 The spring of the Adelboden mineral water is located among the highest in Europe in the heart of the Swiss Alps. This traditional enterprise has lately invested significant sums in its modern bottling plant, enabling us to provide highest quality products to its customers. 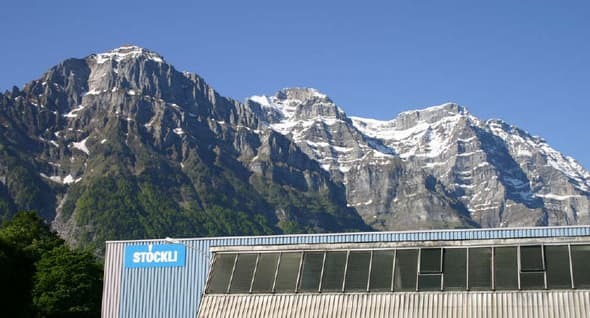 Our mineral water source is a far distance from any environmental influences and emerges following years of natural filtering, purification and mineralization thru numerous rock layers of the pristine Swiss mountains. Impressive, unapproachable, mysterious, pure and beautiful – this is how the mountain- and glacier region of the Bernese Alps presents itself. 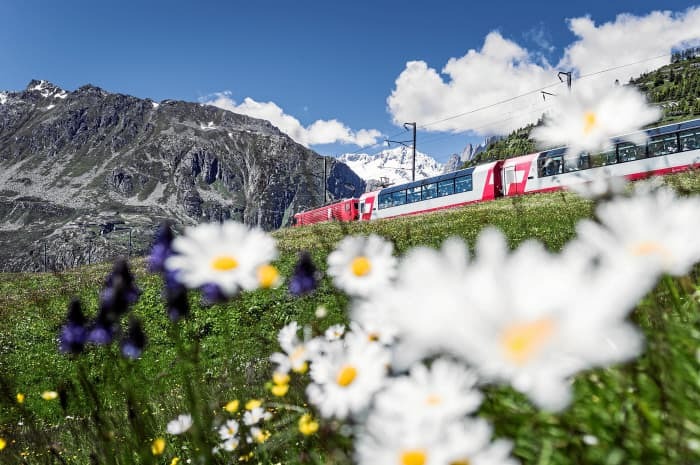 Embedded in this breathtaking landscape you will find Adelboden. 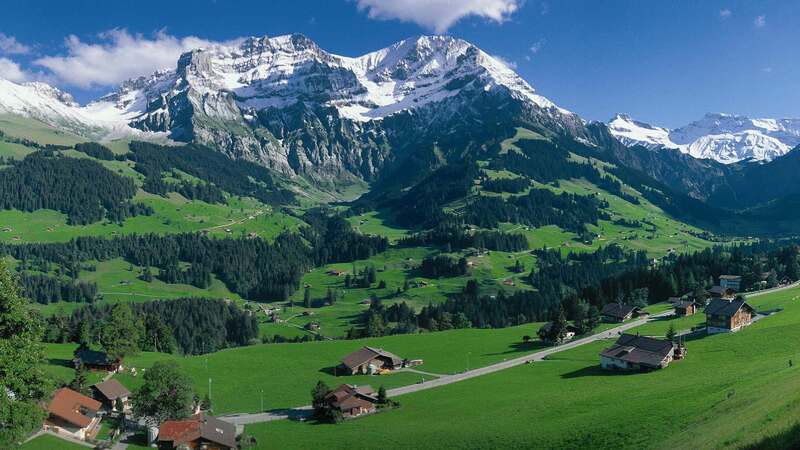 The Adelboden-Fruitigen region is a well-known tourist destination and is situated centrally in the western Bernese Alps. There, from the heart of the Swiss Alps the water springs – a truly precious mineral water, our Adelbodner. Rich in minerals and a high concentration of calcium, which is excellent for good bone structure. Additionally the magnesia and sulfate content are high. Thus our water not only is a thirst quencher but also provides you with the required minerals for your body. The mountains give the water its purity, the strength of the minerals its enjoyable and refreshing taste. Meinrad C. Perler, born in 1937 and son of a farmer from the Canton Fribourg, came to the Canton Ticino after his economics study in London and following a career at Credit Suisse as Bank Director. In 1981 he decided to dedicate the rest of his life to the wine-making trade, and purchased the “Tenimento dellOr”. 11 hectares of vines on a hill in Arzo, perfectly exposed to the sun. In 1994 Mr. Perler pressed his first 100%-Merlot wine, which right away won the gold medal in the “Aosta am Berg” contest and received the “Weinwisser” award at the Expovina exhibition in Zurich from the wine-experts and wine-lovers’ journal. 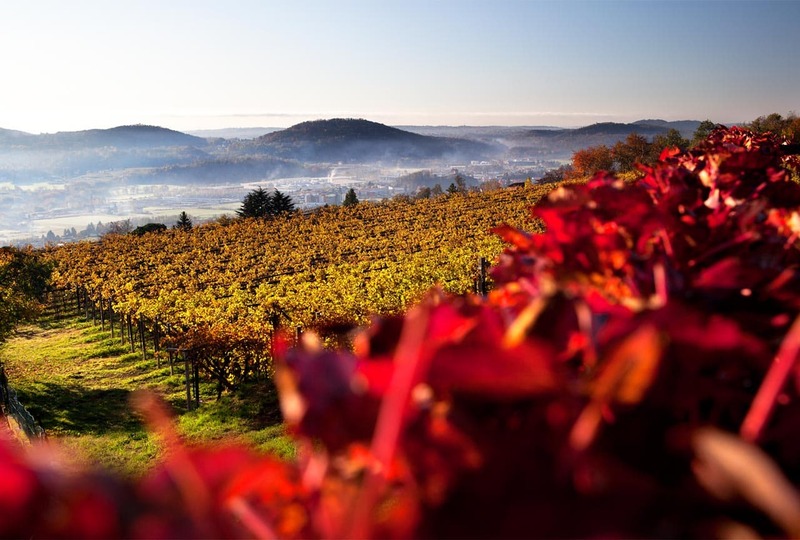 The estate, mentioned in scripts from the 1800s give account of an important vinery in the region, was brought back to its original utilization. Following the acquisition the re-planting of the grapes started, at first in the traditional method of the region. Soon the passion of the owner, for experimentation and innovation set foot in the winery. Credits in achieving the visions, are in large to be attributed to Mr. Rainer Zierock, a German scientist and agronomist. He recognized the potential of the vineyard and over the years accomplished highest merits in the grape cultivation but also in the cellar as master of the assemblage. A big step forward was also the purchase of the “La Prella” vineyard in 2002, a district in Mendrisio. 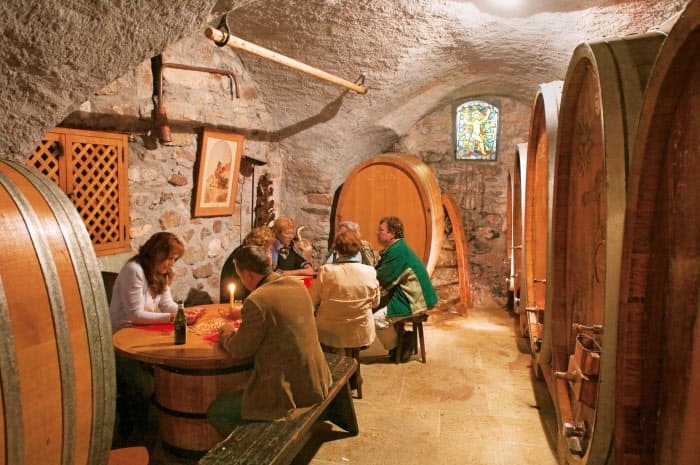 The grapes and the wine-making adheres to natural methods as far as possible and respect to nature. A large part of the production and almost all specialties are processed in Barrique barrels. In 1989 a wine cellar was purchased under the hills of Mount Generoso for the maceration of select Barrique-wines. Big investments are done in research. 3 gardens on the estate hold some 600 different grape varieties for experimentation purposes. Emil Ebneter, founder of today’s Appenzeller Alpenbitter AG, not only gave the company a valuable recipe, he also passed on a set of values that continue to be maintained and form the basis of the company’s success. A down-to-earth approach and authenticity are also part of this, as is the well-being of the employees. Emil Ebneter laid the foundation for today’s Appenzeller Alpenbitter AG when he opened a spirits store in 1902. In 1908, together with his brother-in-law, Beat Kölbener, he established the general partnership Emil Ebneter & Co. AG, which was renamed Appenzeller Alpenbitter AG in 2006. The family-owned company has remained true to its tradition and continues to be an independent SME. 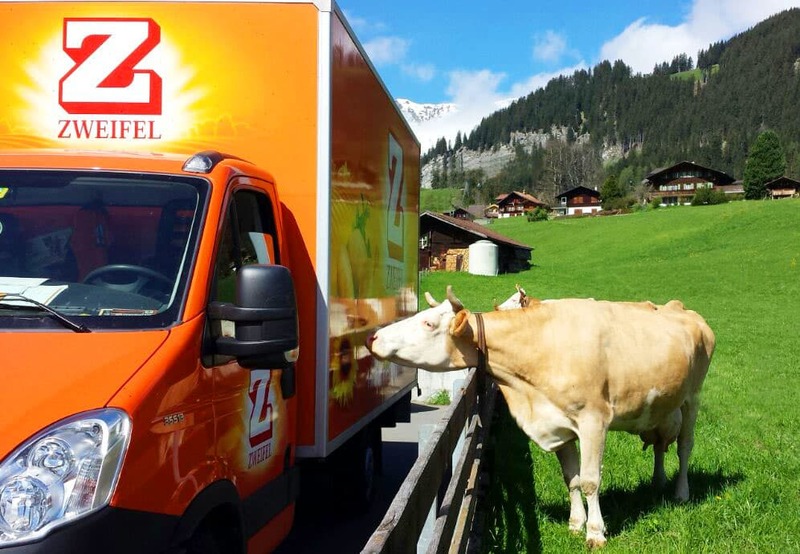 Appenzeller Alpenbitter’s ongoing commitment towards its customers, the environment, its employees and the public has been recognized thru the awards of ISO 9001 and FSSC 22000 (food safety) certificates. These certificates guarantee impeccable quality, not only in development and manufacture, but also in sales and distribution. 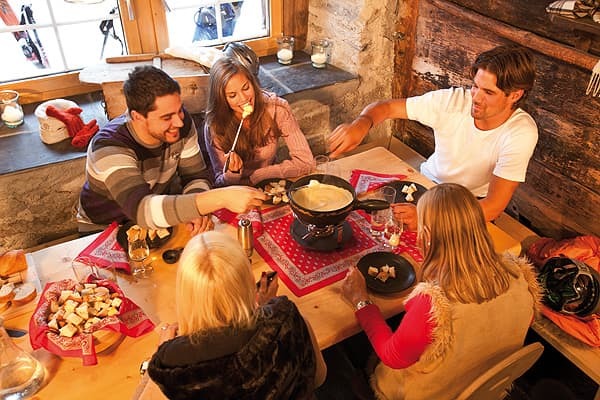 A warm welcome to the most Swiss traditional dishes – Fondue & Raclette. 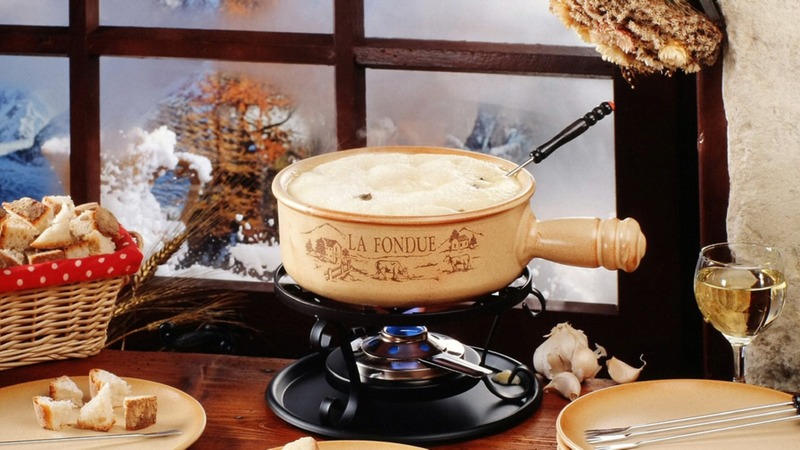 art of fondue – the Swiss premium Fondue. This is not just a slogan, we set the highest standards in our own production to exceed your expectations, and to satisfy the experience of a Fondue for you and your guests. 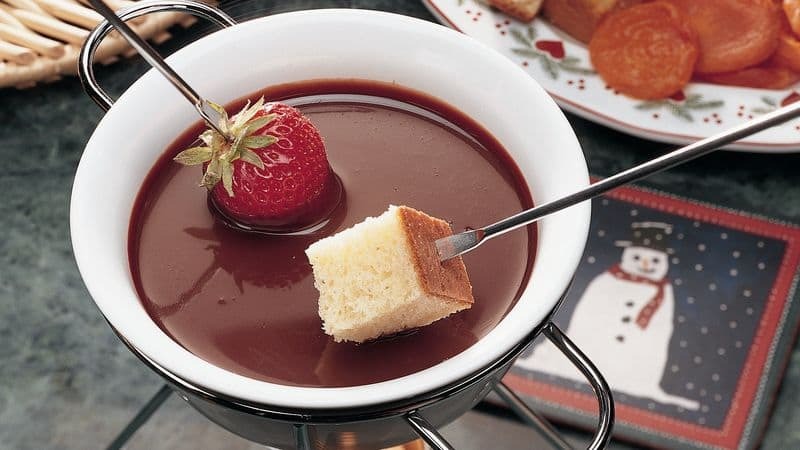 Highest quality Swiss cheeses, the diligent preparation, and the varieties of cheeses offered have recognized us as the best Fondue in Switzerland. We live our passion for cheeses. 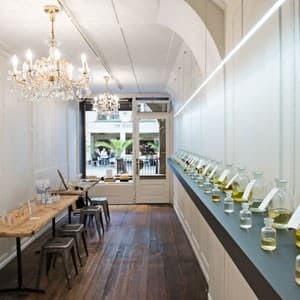 In the perfume studio in the heart of the old town of the Swiss capital Berne, called Art of Scent-Swiss Perfumes, I create perfumes, room fragrances and personalized scents. Carefully chosen essences and harmonious blends are utilized in crafting original creations in fulfilling customer requests. Mrs. Witschi also takes great delight in the varied history of perfumes and will gladly impart her vast knowledge to people of all ages in workshops, seminars and company events. 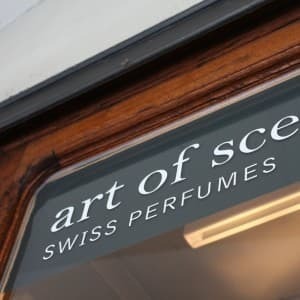 At Art of Scent-Swiss Perfumes we would like to emphasize the art and creativity surrounding fragrance. This is achieved not only with perfumes and scents but also with imparting the history of perfumes and handcrafting new and exclusive scents creating personal and unique fragrances for our customers. 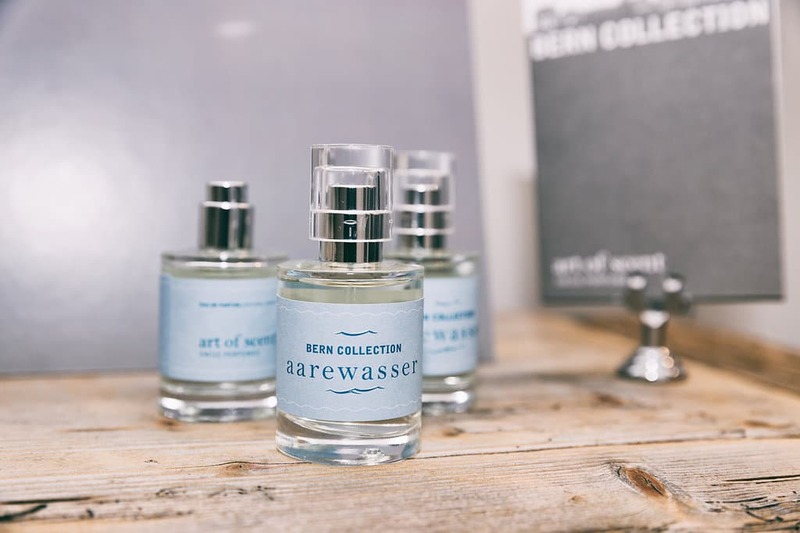 All fragrances are handmade in Switzerland. 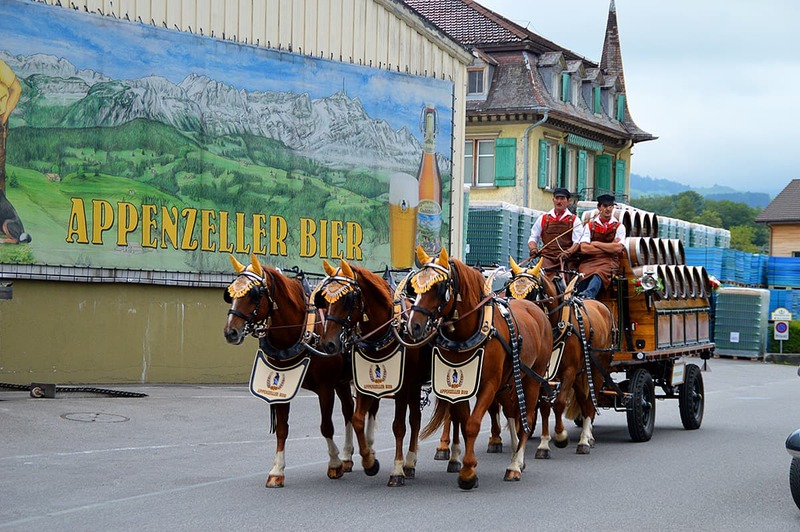 In the town of Appenzell, at the foot of the Alpstein massif, the Locher family brews a very special variety of beer. With hops and malt, like all others. But what the others don’t have is our fresh spring water, taken directly from its source from the legendary Alpstein. And that’s what makes Appenzeller Bier so special. So distinctive in flavor and so popular that even now, five generations on, the family brewery still continues to create new beer varieties. Inspired by their delight in producing innovations, these master craftsman have produced an abundance of varieties in extremely high quality. It is this passion for innovation that enables people everywhere to discover the delights of Appenzeller Bier over and over again. Prepare to be delighted! Whether by our well-known Quöllfrisch, or by one of our more exotic and more unusual varieties - enjoy the rich variety of Appenzeller Bier! Discovery finest Swiss Fruit Brandy made from 100% Swiss fruits. Generations of gourmets have produced our brandy for savorers. 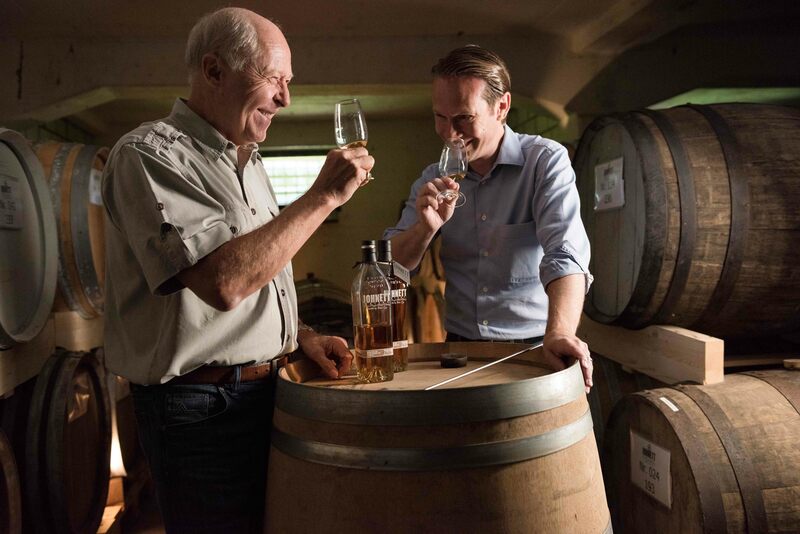 Whether Etter Kirsch from Zug, spirits and Cuvée, fruit brandy or JOHNETT Whiskey, each drop is a promise. Welcome to the family business of Etter. A long history and tradition of distilling craftsmanship fulfill the art of the liquors. Only among a select few companies quality and the family name are so close as with Etter. “Eau-de-vie” – “Water of Life” (spirits) was the inspiration and destiny of the family - Today one of the most modern distilleries in Europe. Our passion is reflected in our vast portfolio of innovative products. 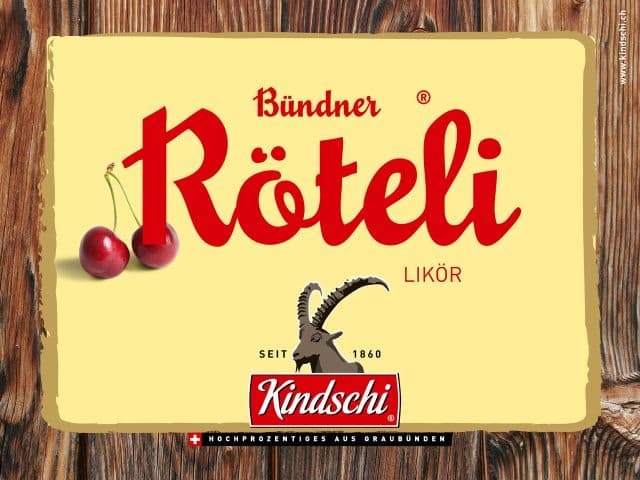 The new generation fruit brandy, seasonal specialties, the excellent “Zuger Kirsch” or the unique JOHNETT, Swiss single-malt whiskey are a proof thereof. FOCUSWATER is a modern thirstquencher with a pleasant drinking experience. It is low in calories and rich in vitamins. The healthy mix of vitamins and minerals provides your body with vital elements for your daily needs. 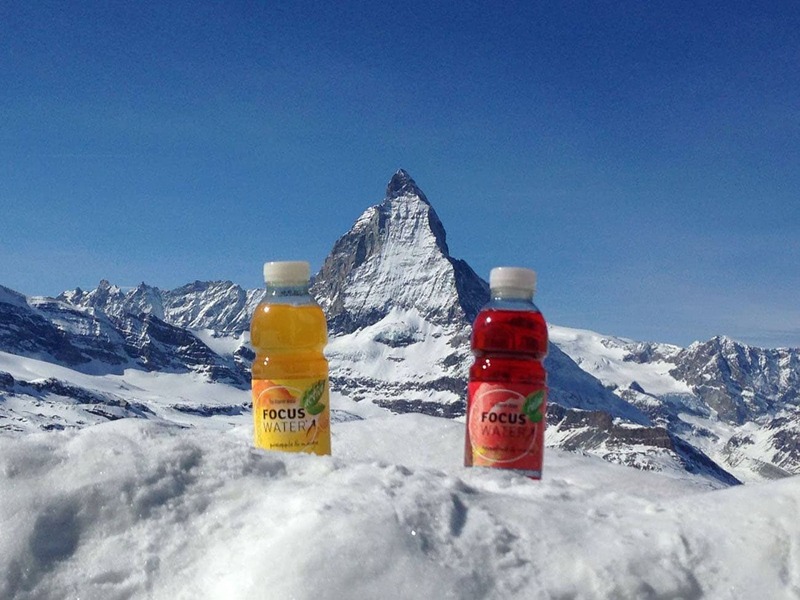 The combination of 6 vitamins is unique in the Swiss beverage market. A half-liter bottle of FOCUSWATER covers at least 75% of the recommended daily dose of vitamins C, B3, B5, B6, B7, and B12 for adults. 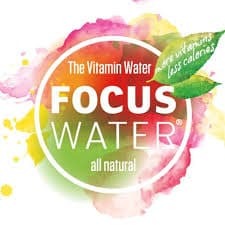 Whoever drinks FOCUSWATER doesn’t have to worry about not getting enough vitamins. Furthermore FOCUSWATER, with its vitamins, is easily digestible, always taste great and is easy to drink. The main attribute is that it simply tastes great and doesn’t contain any artificial coloring, flavoring, sweeteners or preservatives. FOCUSWATER is the perfect choice between those well-known sugary soft drinks full of calories and tasteless water. FOCUSWATER is low in calories with far less sugar and is therefore suitable for health conscious persons, both young and old. Treat yourself to something healthy and enhance your positive attitude to life with the first Swiss Vitaminwater – Made in Switzerland with Swiss water. 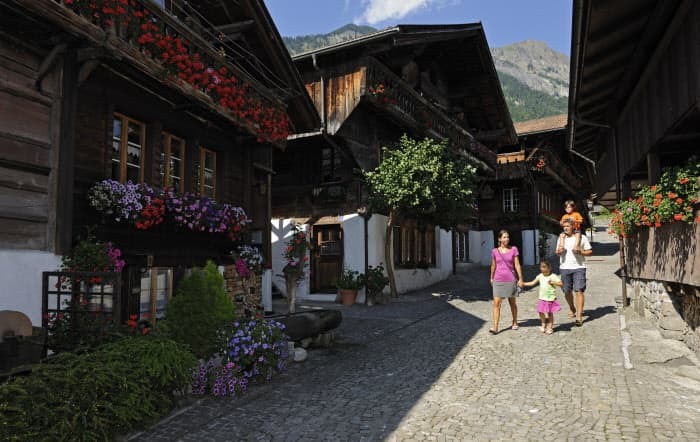 The romantic Swiss village of Gottlieben was founded in 1251. One of its most famous inhabitants was Queen Hortense Bonaparte, when she lived at nearby Schloss Arenenberg from 1817 to 1837. Therefore, her famous son, the later emperor of France Napoleon III, also became an aficionado of the mouth-watering Gottlieber Wafer rolls. It all began in 1928 in a picturesque house by the water when Elisabeth Wegeli was introduced to the art of baking Hüppen by her neighbour. Many lovers of chocolates and other delicacies consider Gottlieber Hüppen and Gottlieber products to be the tastiest tidbits available. Gottlieber Hüppen are even part of Switzerland's culinary heritage. 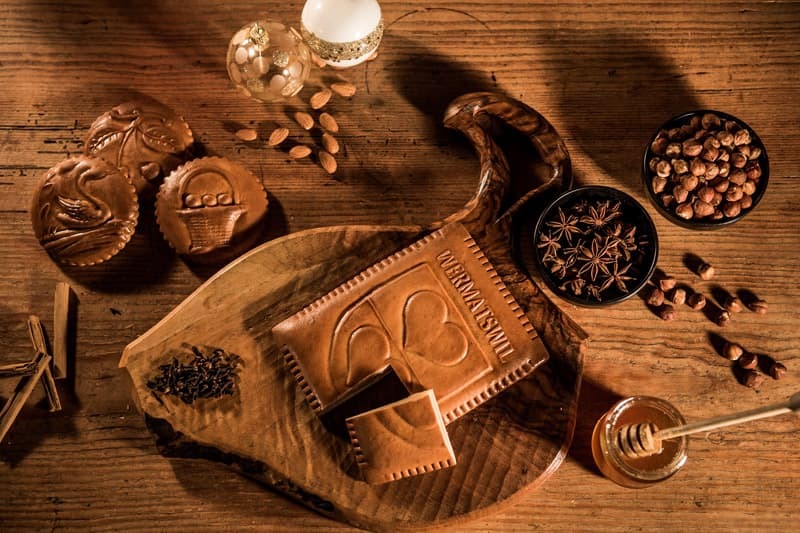 At the family-owned Swiss company, located in Gottlieben, directly on the idyllic branch of Lake Constance which forms part of the Rhine, the delicate warm crepes are still individually-baked and individually-rolled like fine Havana cigars. This is done carefully and precisely, as if by hand. The Gottlieber Hüppen are then individually filled with either gently-melting gourmet creams or Swiss chocolate and individually packaged by hand. 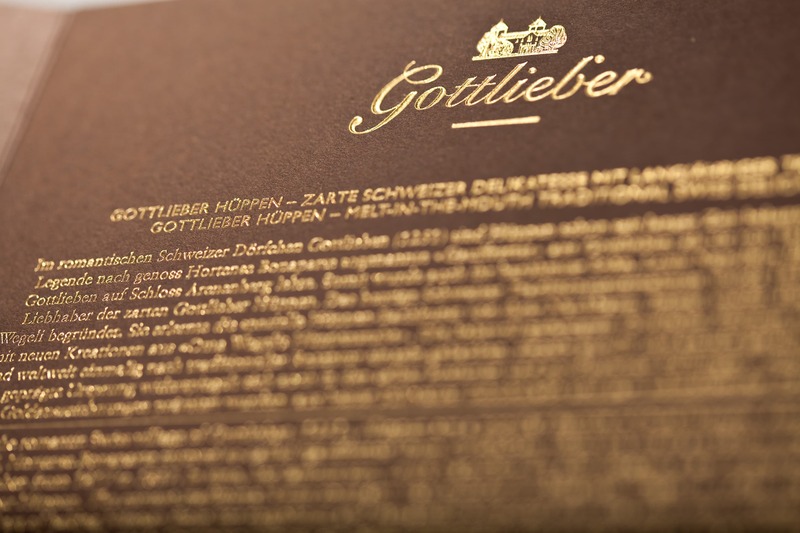 All of our fillings, for which we use only the best ingredients, are created and produced in Gottlieben. Many of them have received top awards. Of course, our products are always inspected according to strict standards of quality (according to the HACCP principle). Our facility is ISO 9001:2008 and IFS (International Food Standard) certified. Our clients, both in this country and abroad, appreciate our gourmet fillings and chocolates produced using long-held traditional recipes, our passionate maintenance of tradition and our high standards of quality. In Frehner’s garden there is always buzzing from the thousands of bees heading out from the beehives to the untouched nature, from where they return with puffy back legs full of orange pollen, to greet each other with ecstatic dances. In the center of the action, Mr. Alex Frehner, with a big smile on his face. The man from eastern Switzerland has been a hobby apiarist for over 60 years and he has a keen eye for the little bees like no-one else. His son Peter was literally born into the trade. 12 years ago he took over the beehives from his father. Continuous education is part of the hobby to master the environmental challenges also in Switzerland, particularly from the farming sector. Whereas in other countries beekeeping has been industrialized, the passionate hobby beekeepers of Switzerland succeed with love for their profession. The issue is that they might focus too much on the honey and not the sales and distribution of the honey. 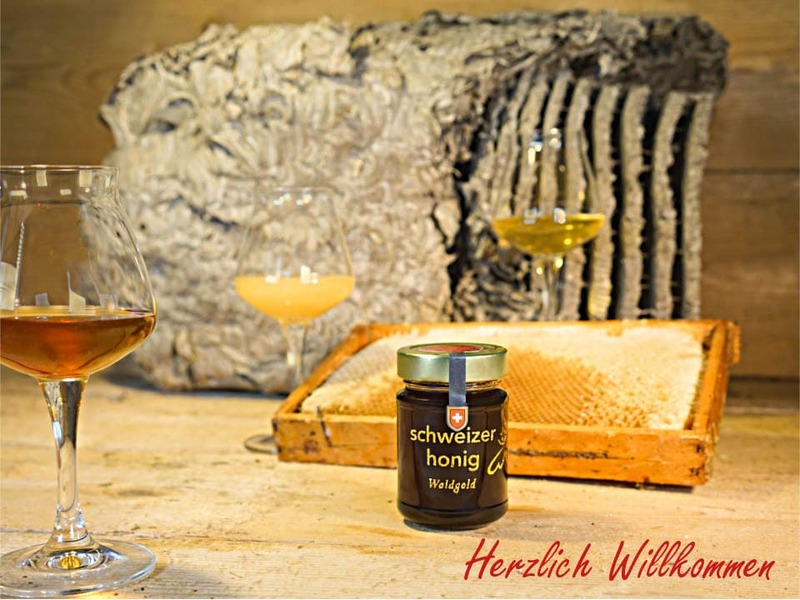 The millions of bees and the hundreds of kilograms of honey produced each year, inspired Peter Frehner to establish “Honig.ch”. This allowed him to also experiment with new products, such as honey-wine or truffle-honey creations. Also other local beekeepers profit from Mr. Frehner now by using their facilities in Switzerland. Important is that he knows where the honey comes from and how it is treated. This is important to keep the honey pure. There is nothing added, nothing homogenized. Each honey has its distinct finger-print – a combination from the time of harvest and the region of provenance. This is what makes each jar of Frehner honey unique, and the indulgence literally one-of-a-kind with every jar. 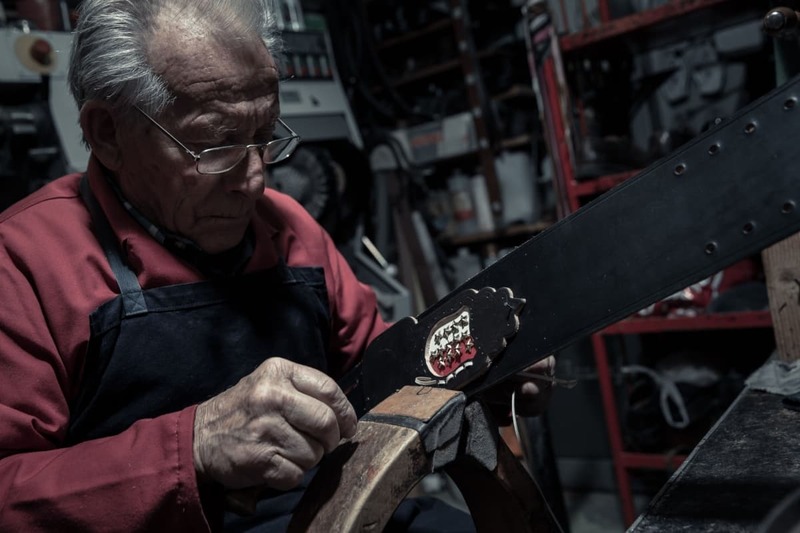 Everything began in 1951, when Titus Karlen founded his boot making saddlery in the earthy mountain village Törbel in the Canton Valais and laid the foundation to this successful family-owned company. He knew how to handle a clobber’s hammer and made himself a name beyond the reaches of his village for quality products such as hand-made shoes, cow bells, horse’s harnesses, belts, accessories as well as military articles. Like father, like son. In good family tradition the son Hans-Jörg also learned the shoe-making craft and orthopedist trade. In 2000, together with his wife Yvonne, he took over the saddlery from his father Titus. Since then a lot has changed in the workshop. As a responsible enterprise Karlen Swiss employs around 10 local workers in the atelier. A truly great team of women, who carry-on and live the company philosophy. Here the word “TEAM” has a unique meaning, then as soon as one enters the “holy” manufacturing halls, one can literally sense the harmony. Each production step really happens hand-in-hand. Be that thru family-relationship or friendship between employees, everything happens together, the smiling, the crafting, and the creating. In our distillery we manufacture the famous liquid Grisons specialties following traditional craftsmanship processes in distilling. Our dedication to quality, and the use of natural ingredients enables us to produces liquors and spirits that are true specialties. Our traditional family-business was established in 1860. Today Kindschi is the largest distillery in the Canton of Grisons and Nando and Rico Kindschi lead the company in 5th generation. … and a lot of passion for sweets: This is the Leibacher-Manufaktur, which was founded by Claudio and Sivan. 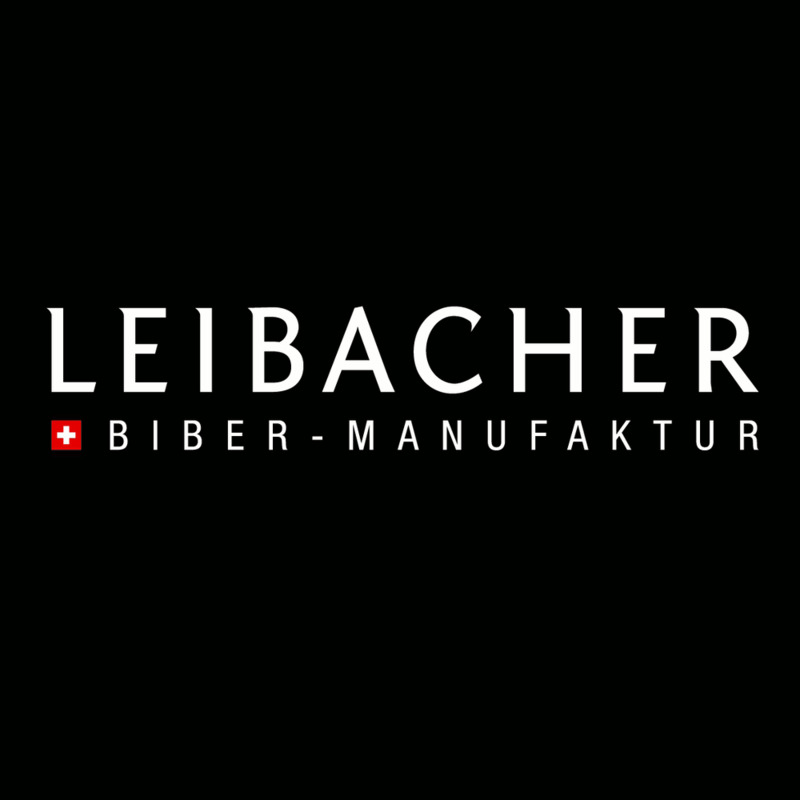 The origins of the manufacture, was a collection of old Bieber models, which Claudio Leibacher was able to purchase from an old bakery in the Canton Appenzell. He was excited about the pretty motifs and traditional carvings from the homeland of his grandfather. He couldn’t leave the idea out of his mind again. Would he be able to make his own Biber with the find? Following his history studies Claudio followed the traces of Swiss Biber manufacturing and worked in various bakeries as well as wood-carving entities. Numerous bake-trials followed and it soon becam clear: Not just any Biber, but one with fresh almonds, aromatic forest honey and a hint of lemon, all done with own wood carved moulds. This was the birth of the Biber Manufaktur. But a real Biber-manufacturing requires a real baker. In 2011 Claudio decided to do an apprenticeship as baker, from which he graduated in 2013. Silvan, at the time in the midst of his economic studies, with fresh ideas and charm took care of the various tasks in sales and marketing. The secret of our Biber - Whoever wanted to be a real gingerbread- of Biber baker in the past centuries had to learn the wood-craft trade. Only in the 20th century the tradition of model baking was lost. In the Biber-Manufaktur we are reviving these two old traditions again. For the wood carvings we use exclusively pear tree wood, which is free of any irregularities to achieve the best results. A wood carving process, starting from the design, can take anywhere from two hours to several days, depending on the complexity of the subject. Also the manufacturing of the Biber is a science in itself. To bring out the full taste of almond in the pastry, we peel the almonds ourselves. The Biber-dough rests after production for 2 days. Then the dough is rolled, cut and placed by hand in the mould. The filling is added and a second layer of dough is put on as to close the pasty. After the baking process potato starch is used to give the Biber their perfect shine. Oswald has specialized in seasonings and bouillons for over 60 years. Even at an early age, company founder Meinrad Oswald was fascinated by raw ingredients from all over the world. His great passion was to discover unique spices. As a result, his blends of spices and seasonings clearly stand out in their aroma and taste from conventional mixes. Right up to today, Oswald's high quality products have always impressed customers with their excellent flavors and versatility in the kitchen. From a one-man enterprise to a flourishing company - From a young age, Meinrad Oswald was fascinated by the raw materials produced in faraway lands. Good taste was his passion, and for this reason at the age of just 20 he bought a small coffee roasting business in Zurich. He sold his products directly to his customers without retail intermediaries. This personal customer contact was his recipe for success. In addition to coffee roasting, Meinrad Oswald also devoted a great deal of attention towards the discovery of unique spices. 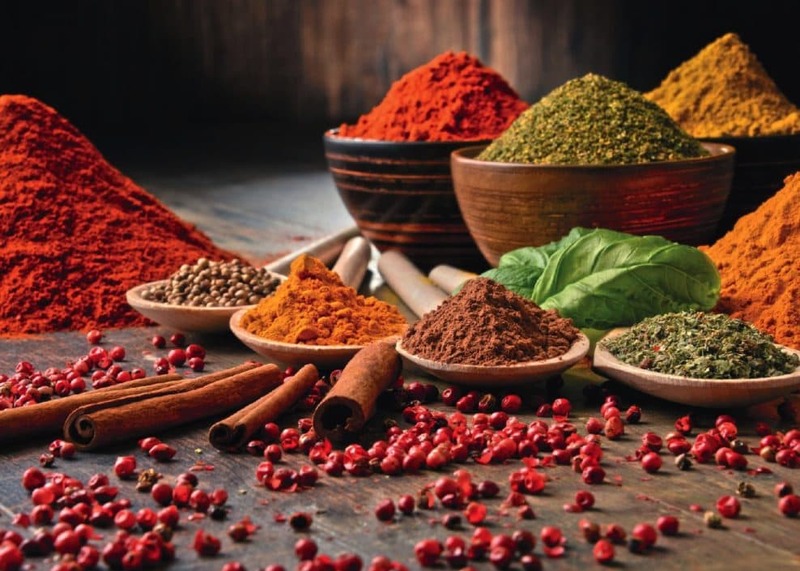 This resulted in spice blends, bouillons and sauces which, to this day, have aromas and flavors that set them well apart from conventional mixtures. “Oswald’s find cuisine” was born. The one-man enterprise rapidly developed into a successful company with its own retail outlets and employees who visited and advised customers at home. From the earliest days, Oswald exemplified what marketing experts today call “customer proximity”. Home visits, customer discussions, listening attentively, divining wishes, developing and offering products on the basis of this – he greatly enjoyed all these things. Swiss premium products since 1951 - Oswald uses high-quality, carefully selected raw materials. These are processed with painstaking care at the production site in Steinhausen/Canton of Zug. Sophisticated compositions with carefully balanced spices or other ingredients ensure failsafe cooking results coupled with personal culinary flair. This is precisely what characterizes our bouillons, spices, desserts and coffee: outstanding flavor! They do still exist – manufacturers that produce Swiss chocolate specialties according to traditional artisanal methods! What is Switzerland’s secret? Why is this mountain state seen as the chocolate paradise par excellence? A pioneering spirit, innovation, quality and reliability: they all play a major role. Chocolat Schönenberger does all it can to uphold these traditions and to maintain Switzerland’s excellent global reputation as a producer of the finest chocolate products. So how do we do it? By providing you, dear customers, with premium quality chocolate products and expert advice on how best to implement your ideas, based on many years of experience and our comprehensive know-how. We are delighted to be able to serve you “chocolate made to order” – in keeping with our slogan. Of course, we are proud to be sending so many products from Netstal all over the world. Many of our creations have long become modern classics. Others have had a pioneering function and coined new product categories, for example our plastic drinks bottle case (1963) or our invention, the Raclette oven, which started a new trend (1971). Many other Stöckli brands, too, are now firmly established. 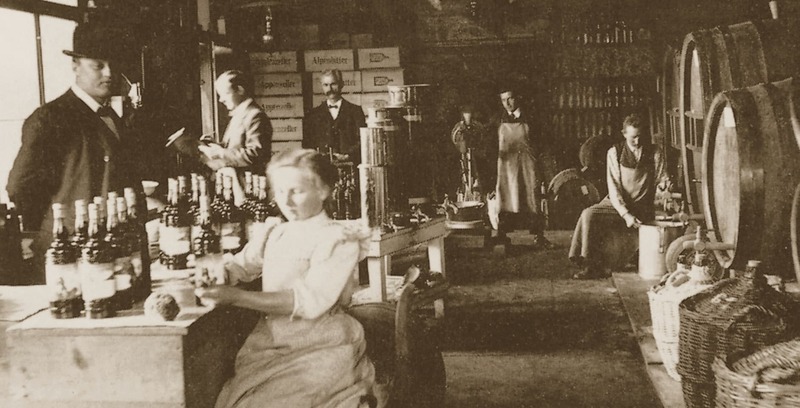 The beginnings - In 1874, master Alfred Stöckli and his two assistants produce the first Stöckli products in a workshop in Uznach: paraffin lamps, burners, ash trays and metal pan lids. The small enterprise quickly develops into a flourishing company. In order to utilize hydraulic power, the production is moved to Netstal. The cookware, serving utensils and ornaments become known under the name «Stöckli copper». Later, the range is extended to include air humidifiers, fondue burners and Raclette ovens. Today we offer our clients innovative products and services that meet their needs. The focus of our efforts is customer satisfaction, which is the foundation of our corporate success. Our products have a high level of quality, which is protected by a certified quality management system (ISO 9001:2015 und ISO 14001:2015). Our high quality objectives can only be achieved with the help of our certified employees. We therefore actively and continuously support them in their private and professional development. In order to remain competitive in the metal as well as the plastics industry, the management makes a visionary decision:. In early 1997, the company was divided into two firms: the plastics company A. + J. Stöckli AG and Stöckli Metall AG. Today, more than 130 years after its beginnings as a workshop, A. & J. Stöckli AG impresses as a modern company in plastics production and trade. A company with a promising future. Trauffer Wooden toys has a long tradition since 1938. Every Swiss child knows the little spotted cow with the golden bell. Trauffer the ORIGINAL produced at the children's dream factory. Bright children's eyes have been continuously our drive to improve the quality and texture of our beautifully designed products. Every product is a unique piece, which may have very slight, but quite deliberate deviations from the prototype in the catalog. This is exactly what guarantees the authenticity and the sympathetic character of Trauffer Wooden toys. Wood is a natural product that can change constantly, a branch or a small crack are the proof: We are really natural. To produce wooden toys is not just a business, it also means to take responsibility for the children and their future environment. This responsibility is not a burdensome obligation, it is more the principle of our profession and part of our family history. We provide a natural wooden product in a world that spins faster than ever before. We are aware that plastic toys can be produced more detailed and also cheaper. A wooden cow may be a significant contrast amongst the computer games and flashing plastic cars. Our products are ecologically valuable, produced from natural raw wood, which we source only from sustainably managed forests in Switzerland with the FSC approval. With our toys, we rely on tradition, on Swiss quality, on craftsmanship as well as on WOOD - for the sake of the environment. Wunderstaa wines are among the best Swiss wines produced and are competitive not only on a national but also on an international level. Only the best vineyards are good enough and only the best cellars guarantee a carefully elaborated and full-flavored wine. We pay special attention to highest quality and diligence as well as reliable, and fair partnerships, to bring out the best in the grapes. Since 1976, Mr. and Mrs. Gasser-Bircher diligently take care of their vineyard and are renown for their quality products. Wunderstaa Wein GmbH was established in in June 2016 and distributes some 30’000 wine bottles per year of various grapes. A select portfolio of liquors completes our product range. Würzmeister was founded on the passions of Yves for cooking and spices. In his early years he learned the cooking trade and conjured excellent meals with much enthusiasm for his family and friends. A medieval recipe given to him by his grandmother finally gave him the reason to start creating his own spice mixtures that would allow him to easier transport all the ingredients. His life took an abrupt turn when at the end of his apprenticeship he had a tragic accident that forced him to rehabilitate in clinics and where he was losing his passions. The story of Ives shall also inspire others – hope and passion to success. Quality is our first priority. In order not to overheat the spices, we employ only small grinders. Each mixture is carefully and thoroughly mixed by hand in advance. Whenever possible we purchase raw-materials in their natural form and grind them ourselves. Thru the gentle grinding process we ensure a high amount of ethereal oils are preserved in the spices, which leads to a more intense aroma. We produce relatively small quantities of spices to ensure that our customers can enjoy freshly make mixtures. This means more efforts on our side, which we accept as our promise to provide an aromatic experience in our products. The spices of Würzmeister are guaranteed free of any artificial ingredients, such as flavor enhances, preservatives or similar and are all gluten-free. To ensure that persons with allergies are well informed all our products have the full allergen listing. Meanwhile many products of Würzmeister are from bio-approved farming producers. It’s been almost 60 years since the crunchy success began! It was clear from the beginning; only those who work with much love, dedication and accuracy can produce the best chips and snacks. This includes the diligent selection and processing of raw materials. Of special care is the origin of our ingredients – and this is the reason that we only use Swiss potatoes. With our unique fresh-service, we ensure that our products are always available everywhere, fresh and crunchy. This is what our customers appreciate about us, be that at a BBQ party, a get-together, a pick-nick or at an apéro event. 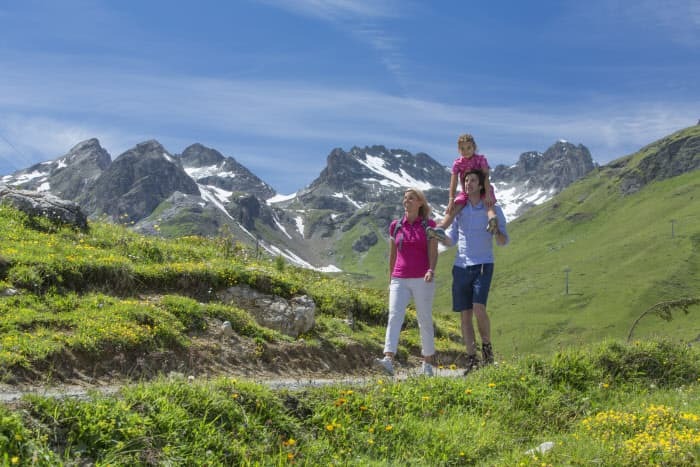 As a Swiss family enterprise, people are the center of our focus – you our customers but naturally also our employees. Our motto is simple: We do everything for the best chips! This is most likely the reason our chips have been the most popular in Switzerland since almost 60 years.